Gastric Banding | Is a Weight Loss Band Right For You? Adjustable gastric banding is a restrictive type of weight loss surgery. In a nutshell, it involves placing a silicone band with an inflatable inner collar around the upper stomach to restrict food intake. This creates a small pouch and a narrow passage to the lower stomach. This small passage delays the emptying of food from the pouch and causes a feeling of fullness. The silicone band can be tightened or loosened over time to change the size of the passage. Other terms for adjustable gastric banding are laparoscopic adjustable gastric banding and gastric banding. Brand names of gastric banding devices include the Realize Band and the Lap-Band System. The silicone band is connected to a small port that is placed in the abdominal wall. The inner diameter of the band can be adjusted by injecting saline through this port. This is called a fill. Your surgeon can make periodic adjustments or fills based on your weight loss, food cravings and other physical reactions to the surgery. Adjustable gastric banding is usually performed laparoscopically, meaning that the surgeon makes small incisions as opposed to one large incision. To perform the procedure, he or she inserts a viewing tube with a small camera (laparoscope) and other tiny instruments into these small incisions. Currently two types of gastric bands are on the market in the United States: the Lap-Band System and the newer Realize Band. The surgery takes about one to one and a half hours. It can be done on an outpatient basis or may require a one-day hospital stay. How Many People Undergo Adjustable Gastric Banding? More than 550,000 people have undergone adjustable gastric banding with the Lap-Band System, and more than 100,000 have done so with the Realize Band, according to the manufacturers’ websites. The National Institutes of Health (NIH) requirements for adjustable gastric banding are the same as for other weight loss surgeries. For example, the NIH requires a body mass index (BMI) greater than 40. This is the equivalent of being about 100 pounds overweight for men and 80 pounds overweight for women. BMI takes height and weight into account to measure body fatness, and a BMI of 30 or above in adults is considered obese. People with BMIs between 30 and 40 may also be candidates for gastric banding with Lap Band if they have obesity-related illnesses such as diabetes, high blood pressureor high cholesterol. The Realize Band is approved for use in people with a BMI between 35 and 40 and at least one obesity-related condition. Gastric banding may be an option also for people in whom the more invasive gastric bypass surgery is deemed too risky due to underlying health complications. Meeting with a registered dietician to discuss how the diet needs to change both before and after weight loss surgery. An upper endoscopy exam or barium swallow to make sure there are no polyps, tumors, ulcers or bacteria that cause ulcers in the stomach. Additional pre-operative evaluations for the heart and lungs, if deemed necessary. It’s wise to tell your surgeon about any medications you are taking or plan to take throughout recovery. Vitamins, minerals and herbs also interact with medications. Don’t leave anything out. Quitting smoking for at least 30 days before and after weight loss surgery. Smoking can increase the risk of complications, including potentially fatal blood clots. What’s more, smoking also increases the risk of pneumonia and other lung problems after surgery. Smoking can also affect healing of the incisions and increase the risk of infection. Not drinking alcohol for at least 48 hours before weight loss surgery. Losing 5 to 10 percent of excess body weight. People who lose a moderate amount of weight before weight loss surgery have a shorter hospital stay and more rapid postoperative weight loss, according to a study in Archives of Surgery. Practicing eating slowly, which includes chewing each morsel of food 15 times and putting the fork down between bites. After banding, you must get used to eating solid foods again. The regimen typically starts with two weeks on a liquid-only-diet, two weeks of semi-solid pureed foods and then solids. Many people say that until their first fill, they can still eat relatively normal portions of food. Some refer to this phenomenon as bandster hell, because they become convinced that the surgery was not a success. The stomach needs to heal from surgery before the first fill. So the first adjustment won’t occur until around six weeks after surgery. Gastric bands need to be adjusted an average of four to six times in the first year after surgery. These fills are done to make sure the band is not too tight or too loose and/or to encourage continued weight loss. Band adjustments are painless, and your surgeon can make them during a regular office visit. The weight loss that occurs with adjustable gastric banding is more gradual then with some other weight loss surgeries. You may lose about five to 10 pounds a month and will likely lose two-thirds of your excess weight within two years of having the surgery. After surgery you must be mindful about what you eat, how you eat and when you eat. This includes eating smaller meals, because the new stomach can hold only about a quarter-cup to a full cup of food at a time. Sometimes people who have undergone gastric banding can eat a lot, and sometimes they can’t eat anything. It is important to “listen to the band” and not just try to eat the same amount each day. It is also important to chew carefully and stop eating when you feel full, or nausea and vomiting can occur. Don’t eat and drink at the same time, because this may increase the chance of discomfort and vomiting. Individual experiences with food and eating after gastric banding surgery tend to vary. Some people report difficulty eating solid foods in the morning. It is important to pay attention to your body and how you feel when you eat different foods at different times. Talk to your surgeon or a registered dietician about any problems you experience, as he or she will be able to offer tips on how to tweak your diet and eating habits. Slippage of the band can occur with persistent vomiting if behavioral changes are not made. The band may erode into the inside of the stomach. The band can spontaneously deflate due to leakage. Gastroesophageal reflux or GER, when stomach contents rise up into the esophagus (the tube that carries food from the mouth to the stomach). Death. The risk of death due to gastric banding surgery is about one in 2,000. Frequent visits for band adjustments or fills. The pouch may stretch with continued overeating. Does not interfere with absorption, so vitamin deficiencies are less likely to occur. Lower risk of dumping syndrome, which occurs when the undigested stomach contents are “dumped” into your small intestine too quickly. It is marked by abdominal cramps and nausea. Improves health problems related to excessive weight, including type 2 diabetes, high cholesterol, sleep apnea, high blood pressure and asthma. The cost of adjustable gastric banding ranges from about $17,000 to $30,000. Insurance companies may pay for part or all of the surgery and/or some or all of the fills. If you are considering weight loss surgery, the first step is to contact your insurance plan carrier to find out if the procedure is covered and what, if any, caveats may exist. A new study shows that losing 20 to 50 percent of excess weight can improve obesity-related health conditions. “Our study shows that if someone is 80 pounds overweight and they lose about 30 of those pounds, they can still achieve a comparable health benefit as someone who has lost all 80 pounds,” said Consumer Guide to Bariatric Surgery advisory board member and study co-author Christine Ren Fielding, MD, FACS, an associate professor of surgery and the founder and director of the New York University Program for Surgical Weight Loss. In the new study, 50 people with body mass indexes of 30 to 40 (meaning they were obese) who underwent gastric banding with the Lap-Band system were followed for two years. 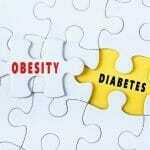 Study participants had been obese for more than five years and averaged about 3.5 obesity-related conditions. They lost an average of 60 percent of their weight two years out, but losing 20 to 30 percent of weight in less than a year was enough to improve or even resolve type 2 diabetes in 87.5 percent of patients, the study showed. What’s more, losing about 50 percent of excess weight resulted in improvement or resolution of sleep apnea in 87.5 percent of patients. Participants with high blood pressure who lost 40 to 50 percent of their excess weight were able to lower their blood pressure, and 72.7 percent of those patients with high cholesterol who lost just 30 to 40 percent of their weight saw a major improvement, if not a complete resolution, of their high cholesterol, the study showed. 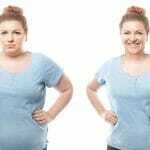 Up until now, losing just 50 percent of weight had been considered a failure, the study authors point out. American Society for Bariatric Surgery. Brief History and Summary of Bariatric Surgery. Chapter 6: Gastric Banding. National Institute of Diabetes and Digestive and Kidney Disease website. Weight-control information network. Bariatric Surgery for Severe Obesity.